Fortunately, these barriers are predictable and not at all insurmountable, when you know what to look for and how to focus on proper execution of the right plan. 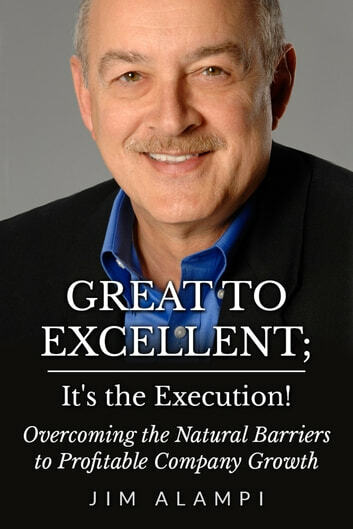 In his new book, Great to Excellent; It&apos;s the Execution! – Overcoming the Natural Barriers to Profitable Company Growth, Jim Alampi, coach to CEOs, executive teams and Boards of Directors, spells out specifically how to spot each major hurdle long before it approaches and the steps you need to take now, to leap each natural barrier you reach. -- Chris Simchick, Principal Partner, SDLC Partners L.P.